Chrissy Amphlett, iconic lead singer of Australian rock band Divinyls, has died aged 53. Seven News is reporting that Amphlett passed away last night in New York, where she had been living with her husband, multi-instrumentalist and Divinyls drummer, Charlie Drayton. No official cause of death has been given but Amphlett had been suffering from multiple sclerosis for a number of years, and revealed she had been diagnosed with breast cancer in 2010. “With my MS it makes my treatment a little more…difficult… I can’t have radiation and things like that. But I have the best people here. And right now, the MS isn’t even bothering me – it’s the least of my problems. But I’m strong and I will get over this. Amphlett was renowned as the charismatic lead singer of Divinyls, creating an icon of the Australian music scene with her revealing onstage schoolgirl outfits and raucous antics. 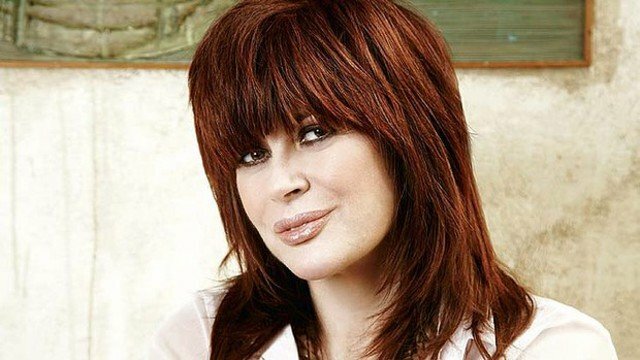 She contributed daring and often overtly sexual lyrics to Divinyls songs, with massive hits from the band’s 1990 self-titled album such as I Touch Myself and I’m Jealous ensuring the band became mainstayers on Australian rock radio. Fame (and infamy) for the band extended abroad, with I Touch Myself hitting the top 10 in the UK and US, despite its difficulty getting airplay due to its explicit content. After breaking up in 1997 following poor record sales and a falling out between Amphlett and guitarist Marc McEntee, Divinyls were inducted into the ARIA Hall of Fame in 2006, reforming with Drayton on drums for their first performance in 10 years. More details as they come to hand. Music Feeds sends our condolences to Amphlett’s family, friends and Divinyls fans everywhere. “Our beloved Chrissy peacefully made her transition this morning. Christine Joy Amphlett succumbed to the effects of breast cancer and multiple sclerosis, diseases she vigorously fought with exceptional bravery and dignity. She passed gently, in her sleep, surrounded by close friends and family, including husband of fourteen years, musician Charley Drayton, her sister, Leigh, nephew, Matt, and cousin Patricia Thompson (“Little Pattie”). Back in 2012 Amphlett posted a very candid and emotional comment on her Facebook page in regards to her struggle with cancer and MS that offers a very personal insight into the harrowing experience.